Which Is Best for Assessing Cardiac Risk? It is well-known that being overweight or obese is an important risk factor for coronary artery disease (CAD), heart attack, and stroke. However, researchers differ as to which method is best for quantifying whether an individual is “too” overweight - that is, heavy enough for their weight to affect their cardiovascular risk. The three most commonly used measures are BMI (body mass index), waist circumference, and waist-to-hip ratio. But is one better than the others? The BMI is useful because this measurement has been employed in numerous clinical studies, so lots of analysis has been done with the BMI measure. In fact, the formal definitions of “overweight,” “obese” and “very obese” were themselves based on these BMI studies. However, BMI is not always accurate. It overestimates body fat in people with a lot of muscle mass and tends to underestimate it in elderly people (who often lose muscle mass). The idea of using waist circumference as a risk predictor stems from the fact that abdominal obesity (accumulation of fatty tissue in the belly) is generally thought to be “worse” than accumulating fat elsewhere (such as the buttocks or thighs). This is because abdominal obesity correlates with an increased risk for not only cardiovascular disease, but also metabolic syndrome, hypertension, and diabetes. 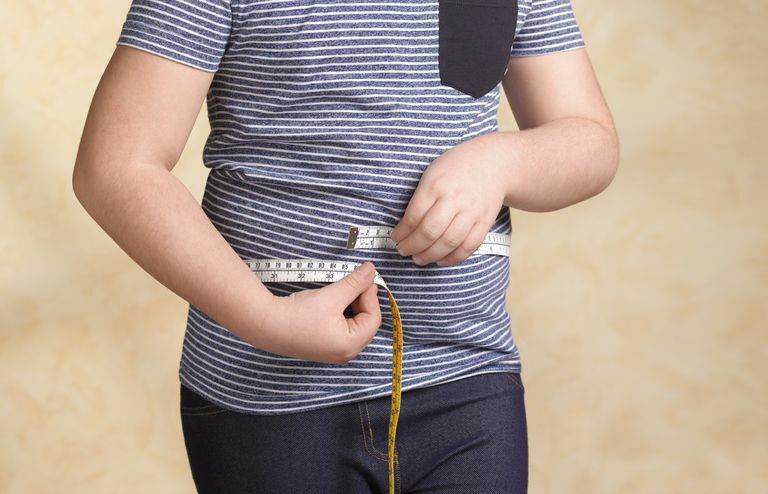 Studies have shown that a waist circumference of 40 inches or more (102 cm) in men, and of 35 inches or more (88 cm) in women, is associated with elevated cardiovascular risk. The waist-to-hip ratio is helpful because in smaller people waist circumference alone may underestimate risk. By comparing waist circumference to hip circumference, you can get a better indication of abdominal obesity. Which Measurement Is Better At Predicting Risk? BMI is certainly the “standard” measure of obesity, in that it is the measure recommended by the NIH, the American Heart Association, the American College of Cardiology, and The Obesity Society. These recommendations, again, are based on the large body of research that has used BMI to predict cardiovascular outcomes. However, it is important to realize that, while BMI is quite good at predicting overall risk in large populations, it might not be a particularly accurate measure for a given individual. Also, it does not specifically take into account the degree of abdominal obesity a person may have. Several studies have demonstrated that a measure of abdominal girth can be significantly more accurate than BMI in predicting heart disease. In particular, while BMI is a predictor of heart attack, it is a relatively weak predictor when other risk factors (such as diabetes, smoking, cholesterol, diet, activity, and hypertension) are taken into account. In contrast, some studies have shown an elevated waist-to-hip ratio to be a strong predictor of heart disease, even after the statistics were adjusted for these other risk factors. Being overweight is an important risk factor for cardiovascular disease and metabolic conditions such as diabetes. The question of how best to measure whether we weigh “too much” is a good one, but in most cases, it’s not too difficult for us to figure out. Many doctors are now relying on a combination of measures to advise patients on their weight-related risk. If your BMI is 35 or higher, that’s pretty much all you need to know. And if your BMI is 30 - 35, unless you are a bodybuilder or other type of muscular athlete, you are almost certainly too fat. But if you’re in the “overweight” category, knowing your waist circumference or your waist-to-hip ratio can tell you something important, since abdominal obesity is bad for you even if your overall weight is not outlandishly high. One other advantage of waist-to-hip ratio is that you can assess it yourself, without formally measuring anything, in the privacy of your own home. Just strip down to your skivvies and look at yourself in the mirror, both head-on and in profile. If your waist in either dimension is bigger than your hips, you’re busted, and your excess poundage is contributing to your overall cardiovascular risk. To reduce your risk, your weight is something you will need to address. Flegal KM, Carroll MD, Kit BK, et al. Prevalence of obesity and trends in the distribution of body mass index among US adults, 1999-2010. JAMA 2012; 307:491. Coutinho T, Goel K, Correa de Sá D, et al. Combining body mass index with measures of central obesity in the assessment of mortality in subjects with coronary heart disease. Role of "normal weight central obesity." J Am Coll Cardiol 2012; 61:553-560.